Panasonic Corporation, the specialist in HVAC&R along with Systemair, the global specialist in ventilation and applied air conditioning technology, have announced a strategic partnership to develop integrated and sustainable solutions for the commercial and residential sectors. 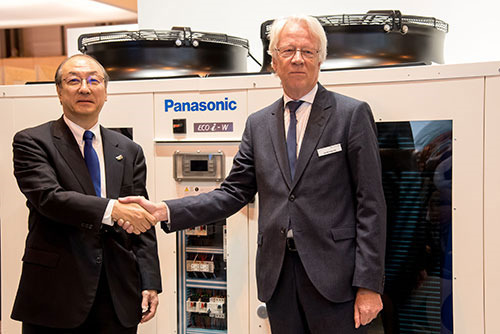 The Panasonic/Systemair collaboration will leverage existing technology and expertise from both parties, setting new trends within the European HVAC&R market. In the first phase, Panasonic will introduce a highly efficient and environmentally friendly new Heat Pump Chiller series, featuring Systemair’s innovative air source reversible chiller technology. 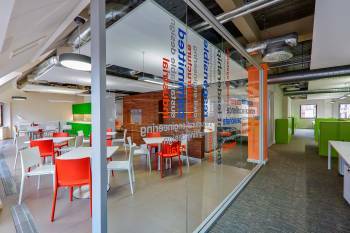 These new integrated solutions are fully customisable and can be made-to-order to create bespoke solutions for specific projects (including the light commercial sector) to fully meet customer demands and requirements. Systemair and Panasonic are also collaborating closely to develop technologies and features to be incorporated into the applied chilled water technology. The aim is to create even more highly efficient, environmentally friendly chiller/heat pumps at the forefront of the European market. This will be additionally enriched by utilising the companies’ Smart Cloud interface, for convenient remote control and maintenance at one’s fingertips. Furthermore, both parties will seamlessly integrate Systemair’s specialist Indoor Air Quality (IAQ)-led ventilation with Panasonic’s advanced residential and commercial heat pumps, control technology and connectivity. By adopting a comprehensive and collaborative approach, the two companies will create a new and strong value proposition to satisfy customers growing HVAC&R requirements in both residential and commercial sectors. “We see this as a great synergistic opportunity to develop, deliver and meet the higher level of environmental demands of our customers, in addition to providing long-term business prospects across an evolving European market. 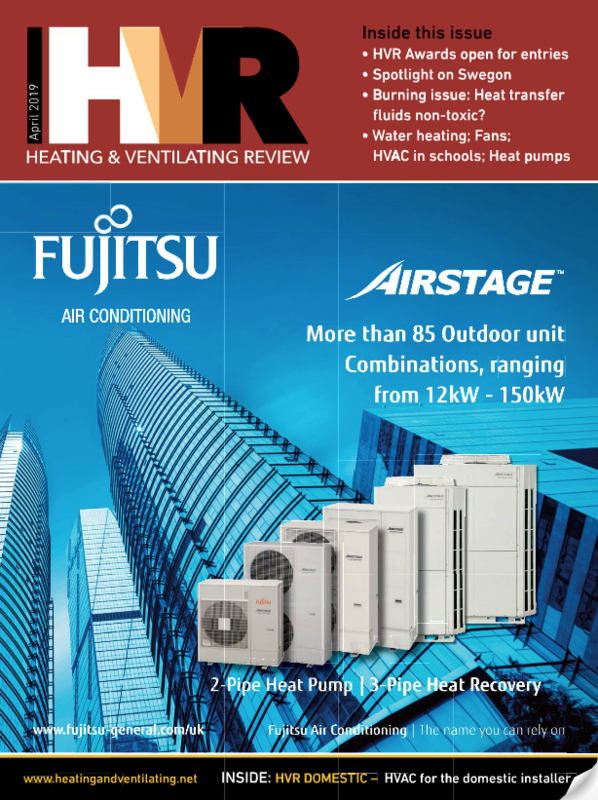 Systemair’s outstanding product range and wealth of experience within the HVAC&R and ventilation industry, aligns well with our commitment to offering customers exceptional value, features and product quality.” said Toshiyuki Takagi, executive officer of Panasonic Corporation and president of Panasonic Air-Conditioner. “We are very excited for this partnership and the new opportunity that this will create for new innovative and seamless solutions. Together, we aim to enhance building operations, optimise energy efficiency, lower their carbon footprint and reduce energy costs. Through this partnership, we will be able to provide enhanced solutions that will play a leading role in the development of buildings of the future,” said Roland Kasper, CEO of Systemair.